PERI DUO IPHONE CASE | muted. 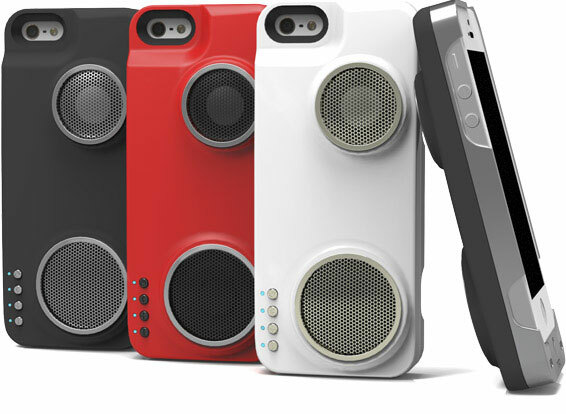 The Peri Duo ($99) may be the coolest iPhone case available. They tout it as, “The world’s first charging case with Bluetooth and WiFi enabled speakers.” The company is currently taking pre-orders at a discount to help get the case in to production. The Duo features high-powered stereo speakers, that can utilize AirPlay so you can stream music from you phone, as well as allow your friends to stream music to the case from their Android or iOS device. The 2500 mAh battery will re-charge your phone battery by 160% for the 5/5s and 130% for the iPhone 6. When you detach the speaker from the phone the battery will support up to 4 hours of play time. Three awesome color combinations are available including Black/Silver, Red/Black, and White/Gold. They currently have an Indiegogo campaign going on right. So stop over and check it out.